It feels like ages since I’ve done a competition. 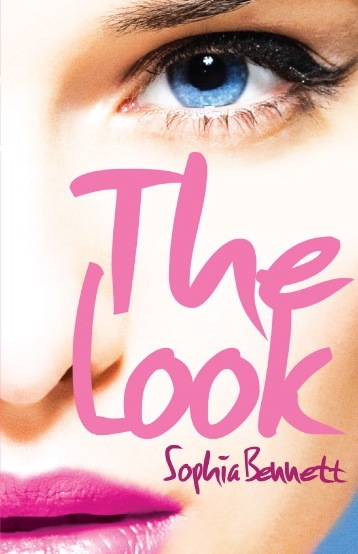 I have 2 copies of books to give away: one of The Look (with its lovely pink page edges – stroke, stroke) and one of Adorkable, by Sarra Manning. This is in honour of my event with Sarra at the Edinburgh International Book Festival this year, where we’ll be appearing on 12th August, talking about fashion, style, jumble sales (apparently – not an expert), trendsetting on Twitter and being yourself. I read Adorkable a few weeks ago and loved it. It’s definitely for older teen readers, in that it has a lovely boy (called Michael Lee) and a feisty girl (called Jeane Smith) and they … you know. So don’t say you’re not warned. Jeane is fabulous at not caring about what people think of her, doing her own thing and acting as a role model for anyone who’s ever felt, well, dorky – but in a cool way. The competition is this. In The Look, Ted is creative. Jeane is creative. I want you to be creative too, and to design a book cover for a book for teens. The title of your book is Girl, Outside. It’s not a real book, I just made it up. You choose the genre, though. You can draw it, take a clever photo, do a collage (I love collages), paint a watercolour or whatever you like. Make it the cover of a book you know you and your friends would love to buy. Then take a picture of your cover and send it to me. You can email me at sophiaben at me dot com. I will pick a winner for each book, so let me know which one you would prefer. The deadline is 31st July. If I get enough good entries, I’ll put them up in a gallery here. Meanwhile, if there’s any crucial info that I’ve forgotten to give you, just ask me. Have fun and get designing! I’m now thinking I could have called it ‘Yarns’ in English. We spent ages looking for a one-word, multi-meaning title, but I don’t think we every considered ‘Yarns’. It might have worked well for anyone who knits. 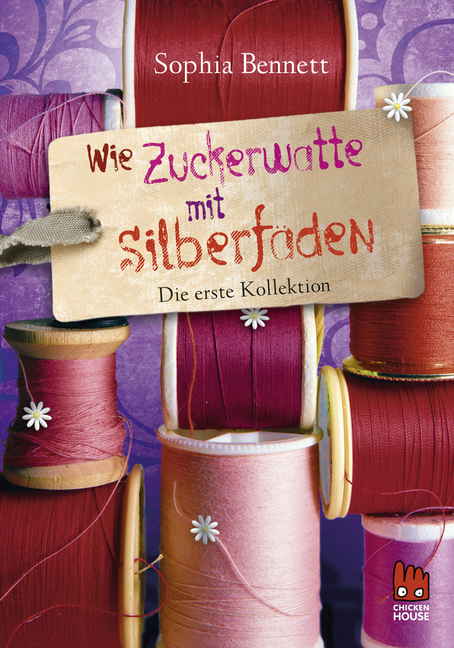 The German hardback version. It also exists in green. My theory, based on the girls who write to me, is that readers are really interested in craft: making their own things and reading about girls who are creative like them. 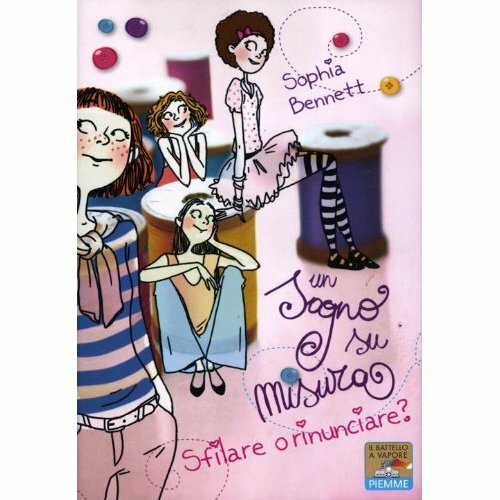 The cotton reels really capture that, which I hope bodes well for the Italian cover too. 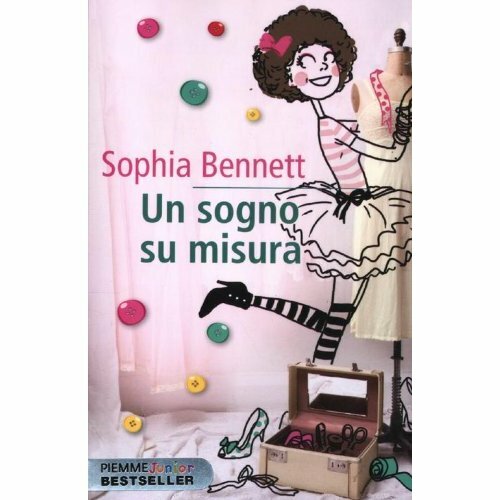 Book 3 comes out in Germany in November. It has a sort of pincushion on the front. It’ll be interesting to see if people like that one too. You’d never guess I originally wanted a tailor’s dummy, a spotlight, a laptop and a machine gun for Threads, would you? If you’d like to design your own ideal cover for Threads, do send it in and show me. I’d be happy to put the best designs on the Threads website. And I’d love to see what you come up with.